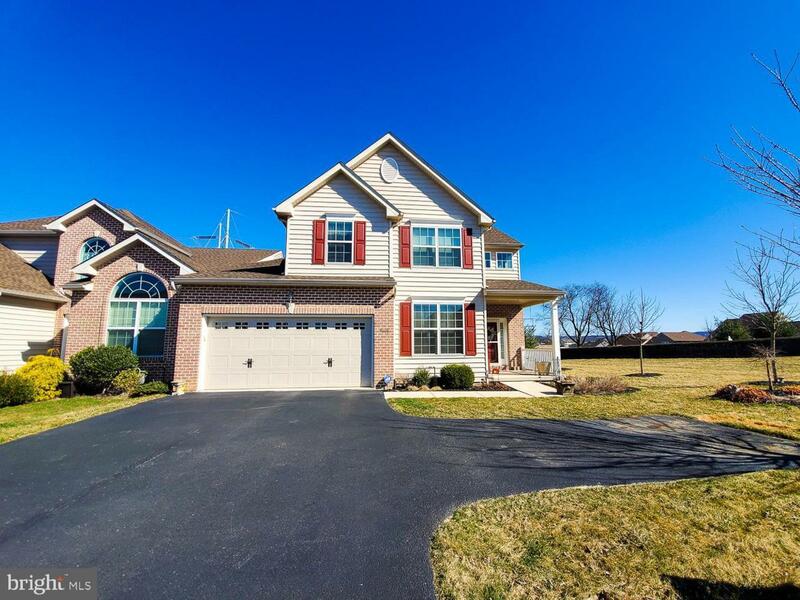 Gorgeously maintained Twin home in much sought after Trexler Field community! Home features natural light, Cherry hardwood floor throughout the first floor, elegant vaulted ceilings & oversized 2 car garage! Open floor plan with spacious living area, gourmet kitchen, granite counters, stainless appliances and 42-inch spacious cabinets for a desirable modern home feel! Upstairs features a loft area, large bedroom for office or optional den, second bedroom and a huge walk-in closet! The owners have spared no expense in making the backyard perfect for relaxing and entertaining, thanks to a gorgeous patio paired with a deck and surrounded by privacy fence on one of the largest lots in the development. The home is also near a historical site. A MUST SEE!